Prime Minister Benjamin Netanyahu on Wednesday rejected Western and Arab complaints that the planned construction of 1,100 new homes in the Gilo neighborhood would complicate Middle East peace efforts. "Gilo is not a settlement nor an outpost. It is a neighborhood in the very heart of Jerusalem about five minutes from the centre of town," Netanyahu's spokesman Mark Regev said. Gilo, Regev added, has "staid part of Jerusalem in every peace plan on the table in the past 18 years and therefore this planning decision in no way contradicts the current Israel government's desire for peace based on two states for the two peoples." 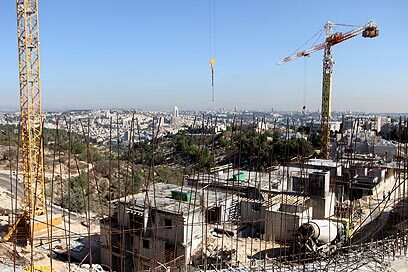 Netanyahu also stressed the construction approval announced on Tuesday was a "preliminary planning decision". The United States, Europe and Arab states said the announcement would complicate efforts to renew peace talks and defuse a crisis over a Palestinian statehood bid at the United Nations. Britain and EU called on Netanyahu to reverse the decision, and US Secretary of State Hillary Clinton said new settlement building would be "counterproductive". Egypt also condemned the decision calling the move a "provocation": "This step reflects an Israeli choice to continue in its provocative policies and to challenge everyone in the international community that sees settlement construction as illegitimate," Foreign Minister Mohamed Kamel Amr said om Wednesday. Chief Palestinian negotiator Saeb Erekat, said that the new housing units represented "1,100 'noes' to the Quartet statement" urging a resumption of negotiations. See all talkbacks "Netanyahu rejects criticism over Gilo housing plan"